Without the proper planning and strategy, moving can be an especially stressful time. To make sure things go smoothly, it’s a good idea to work with a professional mover. Based in Branson, MO, Affordable Moving Services has established itself as one of the region’s top local moving companies. Whether you need help packing or are looking for long distance movers, they will make the transition to your new home a walk in the park. Thinking You Can Do It All Yourself: When people try to handle all the moving tasks on their own, it usually adds a tremendous amount of stress. It’s common to underestimate the sheer amount of physical labor required to haul countless heavy boxes. You may drop a valued or fragile possession due to fatigue. 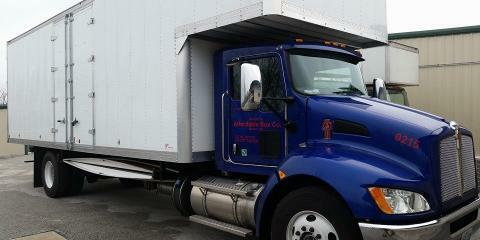 Additionally, a lack of experience often results in renting the wrong size moving vehicle. Not Getting Rid Of Junk: It’s crucial to take a pass through all your possessions and set aside possessions you no longer want. Bringing these objects to your new home not only means you’ll have to do more unnecessary packing, but it also requires valuable storage space when you arrive. Waiting Until The Last Minute: Moving is a large undertaking, so it’s important to avoid the common pitfall of thinking you can complete all the necessary tasks in the last few days before the move. Start planning a schedule weeks ahead of time so your packing process won’t feel rushed and hectic. With proper planning and organization, you’ll also make the unpacking process much easier. Hiring elite movers like Affordable Moving Services will free up your time and energy to focus on bigger decisions as well as enjoy the remaining time in your old house. To learn more about the company’s helpful moving services, just dial (417) 239-6445. You can learn more about Branson’s top movers by checking out their website.